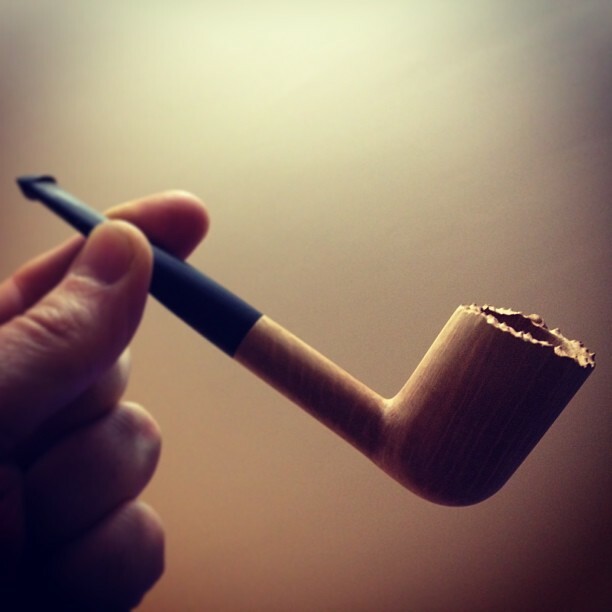 This was supposed to be the last pipe of 2012, but looks like it will be the first one from 2013. It is really small, thin and with a narrow chamber. 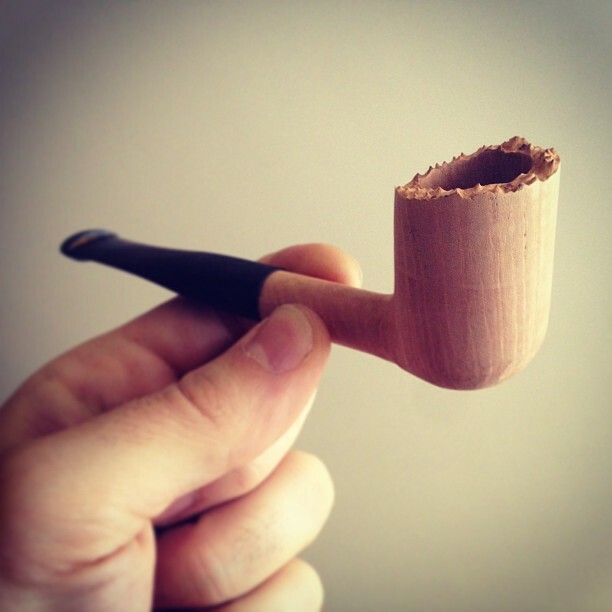 Probably I’ll keep it for me… I need some low capacity pipes. Still thinking about the staining. I didn’t decide what to do with the raw part of the top yet. Joan is smoking: Don Carlos + Peretti Park Square.